Caternow makes it easy to find local caterers and order catering online! We take away the stress of choosing the right meal by connecting our customers with only the best local caterers and food suppliers. Our easy to use website and apps give customers a convenient and hassle free experience. You can order well in advance so you can focus on your event and leave the rest to us. Our network of caterers and food suppliers mean we can provide you with a variety of options and our search tool lets you instantly find the type of food you’re looking for. We understand that ordering food should be easy, convenient. 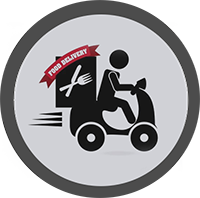 That’s why we work with caterers who offer a delivery and pickup services so you can have your food delivered to your door or pick it up at your own convenience. Signup today and see Caternow's awesome online ordering and delivery system for yourself!